for residential and commercial clients. Mallard Painting is a locally owned and operated professional painting and wallpapering company. 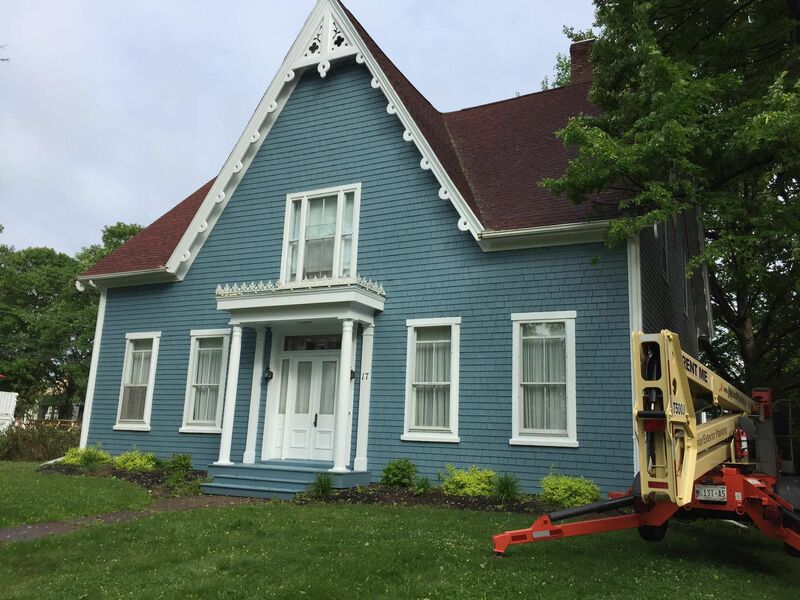 As your preferred painters in Prince Edward Island, we take great pride in providing you with the highest quality work and personalized service at competitive prices. Our services are available throughout the central and eastern areas of the island. Mallard Painting can effectively transform any room or building exterior into a work of art, using only the highest quality materials to ensure that your painting or wallpapering project stays beautiful for years to come. A professional paint job or wallpaper installation will refresh your living space or business and increase the value of your property. Take a look through some of the various projects we have completed throughout Charlottetown, Central and Eastern PEI. If you like what you see, contact us today! At Mallard Painting, we seek to do our part to protect the environment and do our best to select paint and other products that are eco-friendly. Using environmentally-friendly paints help to reduce the occurrence of harsh odours and chemicals in the air. Learn more about your options for interior and exterior painting, call today to schedule a consultation. “I recently hired Mallard Painting to paint my kitchen, living room, hallway and ceilings. From the quoting stage to the finished project, service was top-notch. Work began on a Thursday morning. Wade and his team showed up on time and were very courteous and professional. The project was completed early afternoon the same day. Quality of the work is excellent. I would hire Wade and his team again in a heartbeat.” –Kim P.
“We hired Wade and his team to cover the terrible stucco ceiling that occupied about 1/2 of our main level ceiling. Timmy did a fantastic job and I highly recommend taking this route if you hate stucco ceilings too. We also hired them to paint the whole house. They did a fantastic job and really went the extra mile to make sure we were happy with everything. 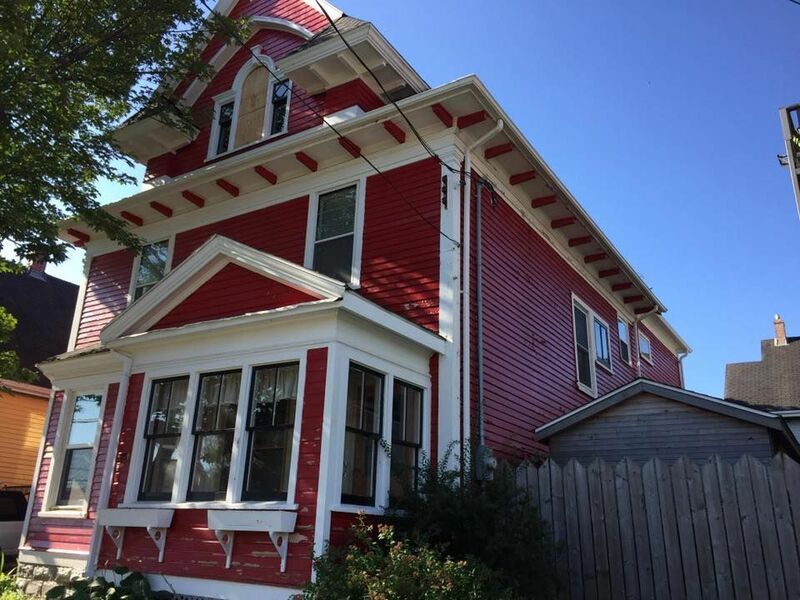 It looks beautiful!” –Ashley P. and Jonathan G.
Mallard Painting made my 100 year old house look like a million bucks! If you want friendly and professional service, and a high quality paint job done quickly, hire these guys.” –Rhonda B. “Excellent! I am very pleased with the work and the gang was a joy to have at my home! Thank you! !” –Rachel L.
“We are very pleased with Wade Clements and Mallard Painting. He is a great communicator. He has superior painting skills and many years of experience. He takes real pride in his work. We would recommend him to others and contract his services again.” –Marie and Bruce B. 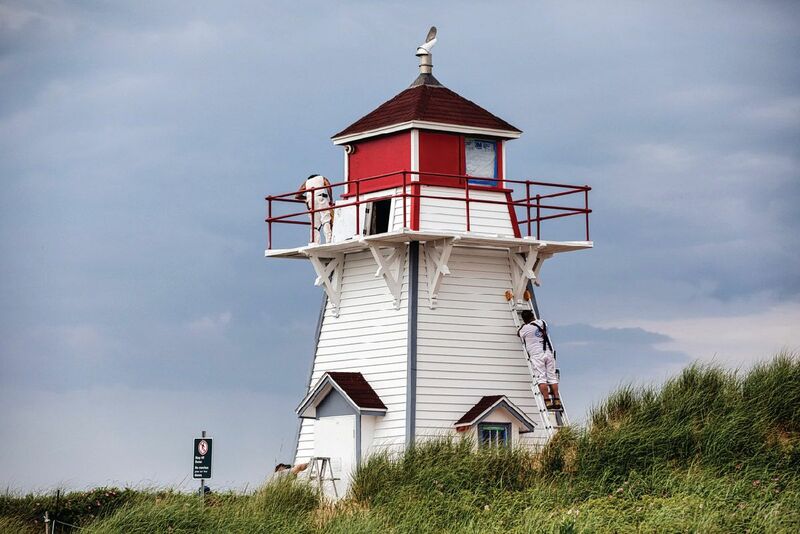 “Wade and his crew just completed painting the Panmure Head Lighthouse for our community association. The lighthouse is 163 years old, 58 feet tall with sloping walls and in a very windy location - this was not an easy job! Wade and his crew did a fantastic job - they were professional and courteous to our many visitors to our location, who were watching them and asking questions while they worked. They left the site very clean including removing the mountain of old paint chips that were scraped off during the preparation. The lighthouse looks absolutely fantastic and our visitors comment daily, about how the building gleams - it can be seen from a great distance and it just sparkles. We are absolutely thrilled with the job they did and the results.” –Jackie B. “Having our new (to us) house painted top to bottom and getting Mallard Painting to do the job was the best decision we could have made. Every day they showed up when they said they would, did an incredible amount of work with excellent attention to detail. An extremely professional crew that is a pleasure to deal with. I highly recommend them for any job, big or small, that you might have.” –Philip S.
“Wade and his guys did an absolutely excellent job of painting the exterior of my house. It looks great!! Wade takes a lot of pride in his work and it's very obvious in the quality of the paint job. They came highly recommended and I will be doing the same. Thanks again guys!!! !” –Heather K.
“Wade and his team just finished giving a whole new, fresh look to the East Point Lighthouse and all outbuildings. They did a fantastic job; they did minor repairs as they went, finished in a timely fashion, and never interrupted the flow of business at our busy tourism destination. They arrived at the site early each day, and never seemed to stop! We would recommend Mallard Painting for any job big or small.” –Nova M.
“Wade and crew did an excellent job of the interior of our house. Very professional team that always kept us informed day to day and took great care and attention to detail. We would highly recommend them!” –Andrew G.
“Awesome job! Wade and his team did phenomenal work painting the exterior of our home. It was very easy to communicate with Wade and his guys; they showed up on time and were highly organized and paid attention to detail. The job was done within budget and timeframe discussed. I'm glad that I went with Mallard Painting and would highly recommend and use again. 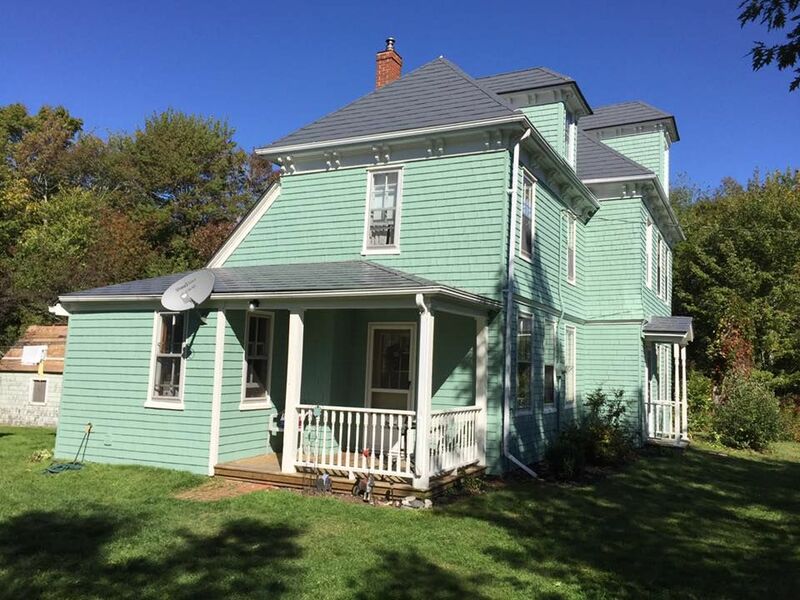 I enjoyed the whole process and love the final results of my beautifully painted home! 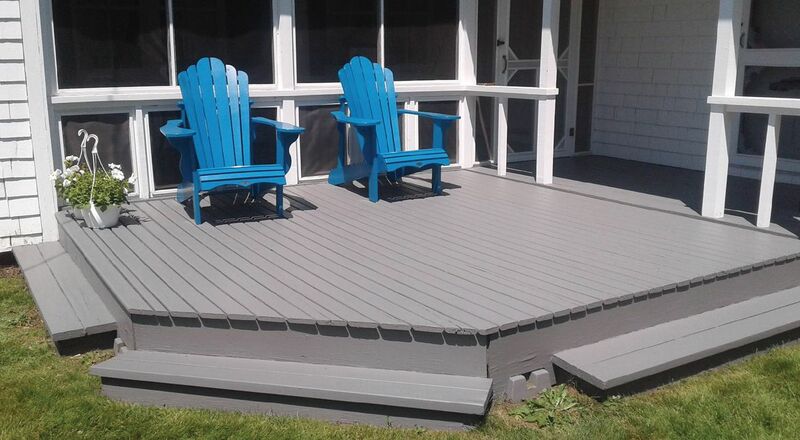 Thank You!” –Christine L.
“My wife and I built a home on PEI during 2003. We chose a well-regarded contractor who hired quality craftsmen. One such team of craftsmen was Mallard Painting. Wade Clements and company worked without our supervision during the latter part of that year, and when we arrived at the completion (both interior and exterior), we were stunned by the perfection of the job. I have never seen better work from a painting crew. Since then, we have asked Mallard Painting back to redo our exterior. They were given keys to the house and again worked without supervision. Their efforts were outstanding. I have no hesitation in recommending Mallard Painting for any painting needs.” –Rob K.
“My husband and I were very nervous about painting over our sided home. We spent many hours wondering, "What if we can't find the right person to do this job? Our house will be ruined." Well, voila! We found him: Wade Clements and Mallard Painting. Wade eased our fears instantly with his vast knowledge and understanding of what the job called for: special cleaning, special paint and special application. The job is unbelievable. Our tired home now looks like a grand dame. Have no fears when hiring this company. Their experience and professionalism is unparalleled; we couldn't have asked for anything more.” -Ed and Bernice Y. “2016 was the East Point Lighthouse’s turn to be painted, and our painter of choice was Mallard Painting. Wade Clements and his hard working team did a fantastic job. They were on site early, and worked steadily, without interrupting our flow of business in any way; in fact our visitors loved chatting with the guys. Every day brought its challenges, as painting such a large structure as a lighthouse and its extra buildings will do. Mallard Painting coasted right over each one and every day brought a noticeable difference. They replaced shingles if necessary, did minor repairs as they went, even painted a wooden fence at the end of the property, all with an eye to detail. Let us lighten and brighten your home with a fresh coat of eco-friendly paint. We paint every surface from trim to siding to brick. Be the envy on your block! Preserve the integrity and charm of your heritage home. We follow city regulations. Want a career in painting? Call us and talk to one of our experts today.